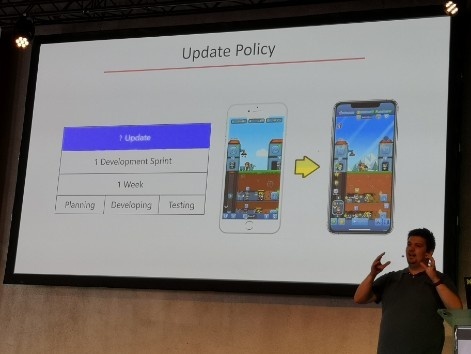 German developer Kolibri Games, formerly called Fluffy Fairy, has generated more than 70 million installs and has 10 million monthly active users for its Idle Miner Tycoon and Idle Factory Tycoon games. 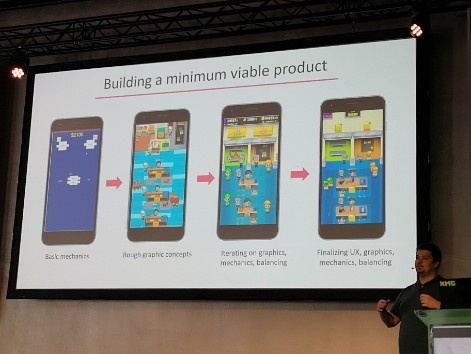 Speaking at Quo Vadis 2019, Kolibri Games co-CEO Daniel Stammler went into detail on the process the studio takes for developing a minimum viable product and then developing it into a hit over time. When the studio first built Idle Miner Tycoon, it created just the basic game and included no monetisation. The important thing was to see whether there was an audience for it. As Stammler puts it, being minimum viable isn't about building a great game, but understanding whether it has a chance of surviving or not. The challenge here is to say no to most things. If feature creep comes in, months might then go by and you might realise those additions didn't make the game better. Such a process of course meant that Kolibri burned through users quickly as they would leave the game once they were done with it. But it helped prove the idea worked. Stammler said one of the most important things to measure the core gameplay by is D1 retention. If your game doesn't have good D1 retention, you won't be able to reach a very good D30 retention. 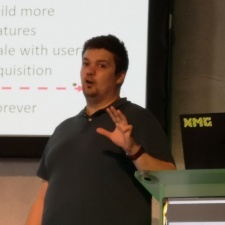 Stammler noted that most of the top games have 40 per cent D1 retention, but both its Idle Miner Tycoon and Idle Factory Tycoon games have been able to get 75 per cent D1 retention. 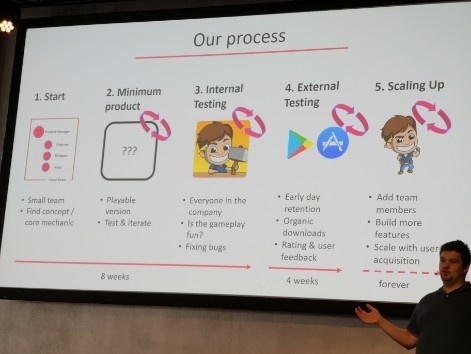 The chart below shows the process of how Kolibri goes from the design concept stage and minimum viable product over the first couple of weeks to external testing (soft launch) and scaling up - should your game show good KPIs. 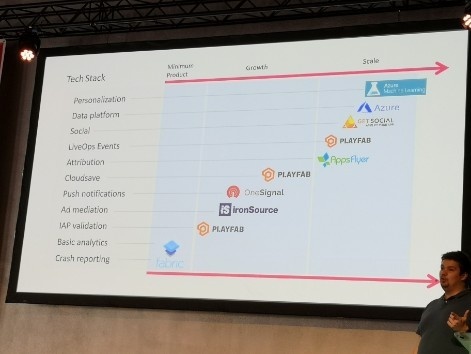 From release, Kolibri's philosophy for its live games is to update them regularly each week. That's not just events, but new features as well. It's rolled out 120 updates for Idle Minder Tycoon to date. 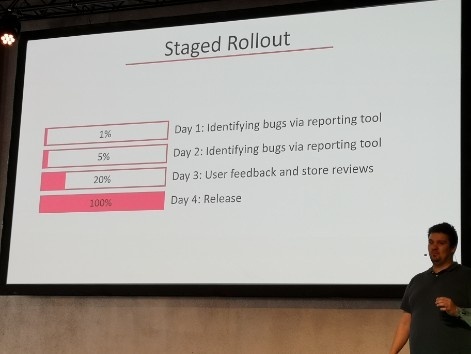 Each update is given a staged rollout to an increasing number of users. This helps ensure that any significant issues that crop up will affect the smallest number of players possible. It also offers a chance to check feedback and see store reviews before rolling out to the entire userbase. This is all done over a four day period. Stammler advised that for development, it's important to build the simpler things first and then over time add more complex features. For Idle Miner Tycoon, over the first two years it gradually integrated features such as a shop, events and social elements. "I think it's very important to do the right things at the right time," he said. Full disclosure: We are a media partner for Quo Vadis. My flights and accommodation were paid for. Our coverage remains neutral.